The International Taste and Quality Institute's (ITQI) International Superior Taste Award 2018, a global top-ranking "beauty pageant" for foods, was unveiled Monday evening in Brussels, with Arawana rice bran oil clinching the award for the very first time. Enterprises from more than 100 countries in the world provided ITQI with more than 2,000 kinds of products for appraisal, and China's Arawana rice bran oil honorably won a Two-Star International Superior Taste Medal. 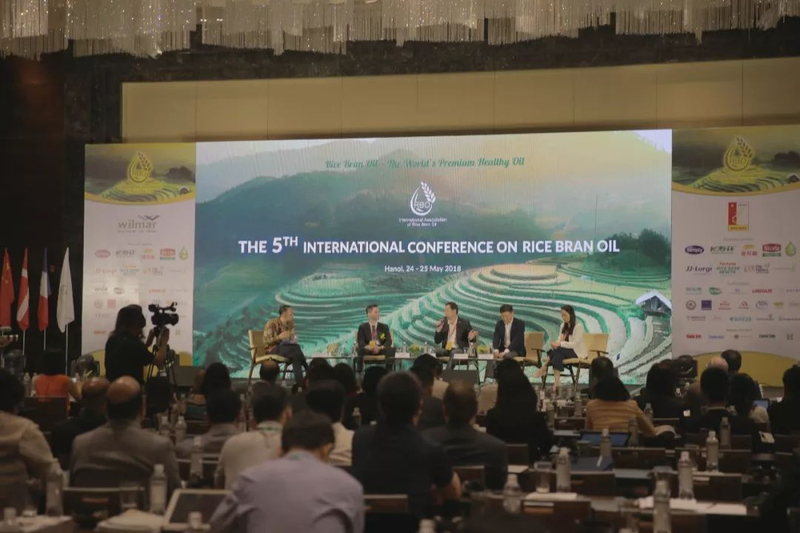 With a uniquely delicate and mellow taste, it has surprised many that this was the first time for China's rice bran oil to get the special honor since the launching of this event. "The best oil is not to hide the taste of the food itself", said Alan Coxon, an international top Michelin chef, and one of the jurors of ITQI. This is also the greatest consensus reached by many jurors on edible oils at the gourmet level. Rice bran oil, originating from Japan over 100 years ago, was served mainly for medicinal use and then applied to other fields such as cosmetics, health products, etc. Rich in flavor, it is also good for health as it produces less smoke and less grease. "Gourmet has no borders". As a leader of the rice bran oil category, Arawana accounts for over 70 percent of the gross market share around the world. With new partnerships alongside European giant retailer Carrefour and American Pepsi Food, and with plans to build 13 new plants by 2022, Arawana will focus on international high-end edible oil brand and market development in the next 5 to 10 years.